From the writer of Malice in Blunderland comes this unexpectedly heart-warming novella about a husband and father winning back the love of his family. It’s very well written, well paced and just like his first novel could easily be turned into a film. However, while Malice in Blunderland would be an edgy satirical flick, Remember to Forget reminds me of one of those afternoon made for TV movies that pulls on the strings of your more sensitive emotions, of love and happiness and what the really important things in life are. A guilty pleasure, you’re unable to switch over and are welling up by the end of it. I thought this novel made a beautiful statement about the gifts that family and partnerships have to offer and Gibbings should be extremely proud of what he has achieved. But I also missed the hedonistic laugh out loud storylines from his first novel and the angry political righteousness of his blog. 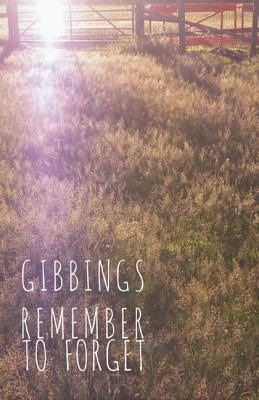 The versatility of Gibbing’s writing nevertheless suggests that there is plenty more to come, and that he is an author to watch out for. For this blog's interview with Jonny Giggings click here.